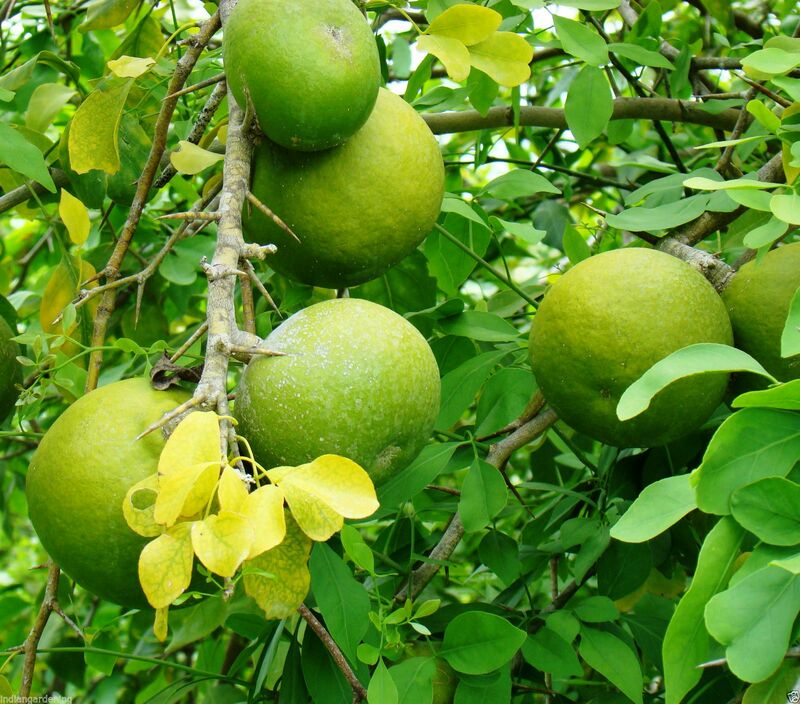 Bael, also known as bilwa or Wood Apple is a vital tree in Indian culture which is mostly planted around temples. This tree has many medicinal properties. The fruit is hard, woody and smooth with sweet flesh inside that can be consumed fresh or dried. They are also mixed with beverages and desserts with sugar or jaggery. 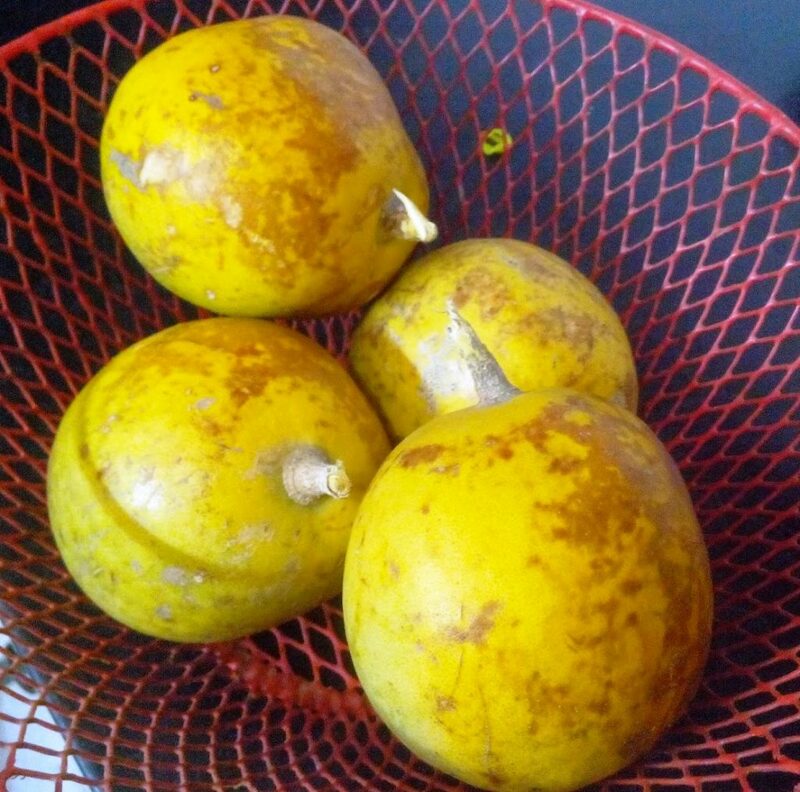 Beal fruit, also known as wood apple, contains protein, beta-carotene, vitamins, thiamine, riboflavin and vitamin C.
Mix the juice of ripe bael fruit with some ghee. Include this mixture in your daily diet to prevent heart related diseases like heart strokes and attacks. This can reduce blood glucose levels by nearly 54%. This magical juice can cure gastric ulcers that are caused due to the imbalance of mucosa levels or oxidative stress in gastric tract. The phenolic compounds present in this juice are filled with antioxidants to reduce gastric ulcers. Bael juice helps in cholesterol control and also reduces blood cholesterol levels. Bael juice controls triglycerides, serum and tissue lipid profiles. Bael juice has antimicrobial properties. The extracted juice is used to control fungal and viral infections. They have antimicrobial properties since the juice contains cuminaldehyde and eugenol in it. Bael juice contains anti-inflammatory properties that are used to reduce histamine induced contractions. This also gives positive results to relax and sooth inflamed organs. 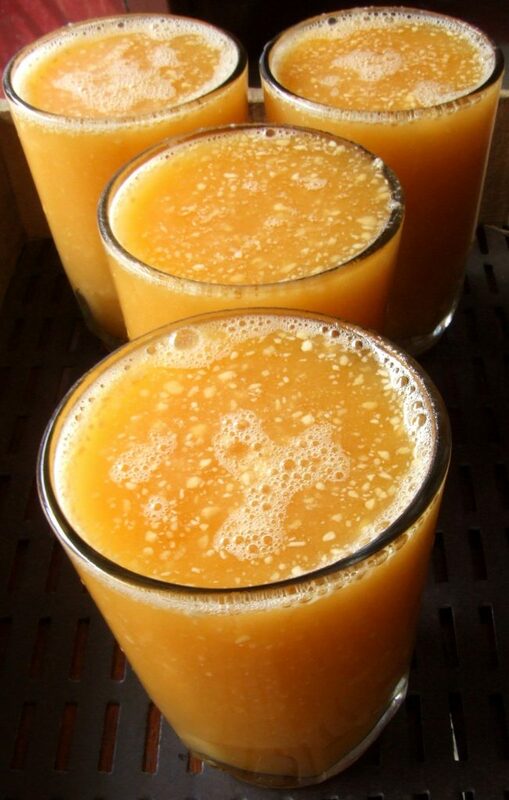 Bael fruit juice is best consumed remedy to reduce constipation and stomach pain. This contains laxative properties to clean and tone the intestines. Drinking this regularly for 2-3 months will reduce sub-chronic constipation. You can mix this with sugar and drink twice a day to ease stomach pain for kids. Add some black pepper and salt to the juice to remove toxins from the intestines. In ayurveda, this is said to cure diarrhoea and dysentery without fever. You can also mix it with jaggery or sugar. Drink bael fruit juice with honey to cure acidity. You can also apply this on your tongue to cure mouth ulcers. Drink bael juice before lunch or dinner to reduce heat and thirst from body. This can be the best drink during the scorching summers! Mix 30ml of bay leaf juice, cumin with bael juice and drink it twice a day to cure urticaria. This can also be beneficial for skin rash and its symptoms like pale red, raised, itchy bumps. Wood apple juice can be consumed with dry ginger powder and jaggery by the infant mothers. This helps to produce more milk for the infants. Consume this juice regularly to prevent or cure breast cancer. Mix 50 gms pulp juice with some warm water and sufficient honey. This drink will help you to purify your blood. Tannin in the bael fruit juice is useful to cure diarrhoea, cholera, haemorrhoids and vitiligo. This is also helpful in the anaemia, ear and eye disorders treatment. In ayurveda, the juice is mixed with turmeric and ghee and spread on fractured bones to treat fracture. Scurvy is a disease that occurs due to the deficiency of vitamin c. This has harmful effects on the blood vessels. Bael juice is a good source of vitamins and cures this disease. The juice of bael fruit can cure respiratory problems such as asthma or cold. This also gives resistance to cold. Bael juice contains laxatives that are helpful to control the blood sugar levels. It stimulates the pancreas and helps them in enough production of insulin that controls sugar level in the blood.